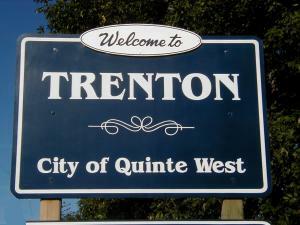 Quinte West On January 1, 1998, Trenton was amalgamated with the Village of Frankford, and the Townships of Murray and Sidney, to form Quinte West. Quinte West is a beautiful city located on the Bay of Quinte in Southern Ontario. 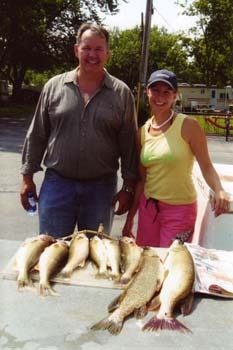 Besides being the Walleye fishing capital of Ontario, Quinte West is home to CFB Trenton and the Gateway to the Trent-Severn Waterway; connecting the Bay of Quinte at the east end of Lake Ontario to Port Severn on Georgian Bay in Lake Huron to the north. 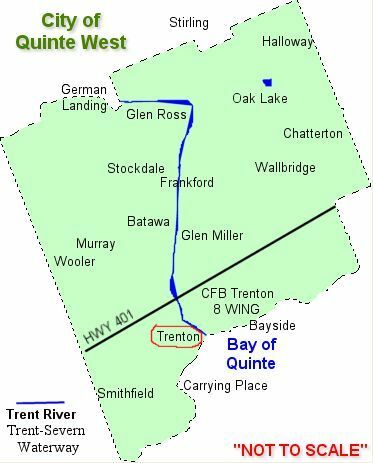 The City of Quinte West is situated on the shores of the Beautiful Bay of Quinte, north and south of Highway 401, 1.5 hours east of Toronto and 2.5 hours west of Ottawa. 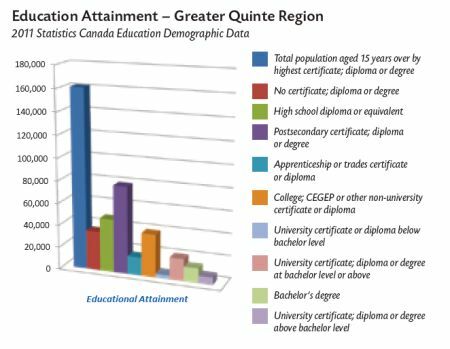 With over 43,000 people, Quinte West's natural setting, with its attractive scenic backdrop of rolling hills, rich farmland and clean waterways, creates a healthy environment for working, living, and raising a family. 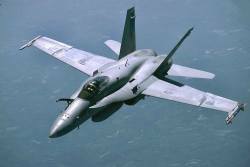 Home to the Canadian Forces Base Trenton, CFB Trenton is the hub for air transport operations in Canada and abroad. 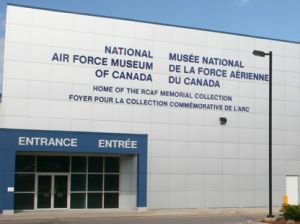 The RCAF operates the majority of its fixed-wing tactical airlift and all of its strategic airlift aircraft from CFB Trenton and The National Air Force Museum of Canada is on the base. The Base is a significant supporter of Quinte West and ocassionally hosts the Quinte International Air Show. Whatever your tastes, likes or interests, whether single, a couple, retired or a family, you'll find lots to do in the City of Quinte West. Interesting, exciting, fun and relaxing, Quinte West is a great place to visit and fine place to live. In addition to Trenton and Frankford, the district of Quinte West, also includes the communities of Barcovan Beach, Batawa, Bayside, Chatterton, German's Landing, Glenn Miller, Glen Ross, Halloway, Johnstown, Lovett, Madoc Junction, Maple View, Mount Zion, Oak Lake, River Valley, Roseland Acres, Spencers Landing, Stockdale, Tuftsville, Twelve O'Clock Point, Wallbridge and Wooler. Frankford was first settled by Europeans in the 1820s when settler Abel Scott built a grist mill along the Trent River. The settlement went under a number of names, including Scott's Mills, Cold Creek and Manchester. The settlement was named Frankford after Sir Francis Bond Head, the Lieutenant-Governor of Upper Canada. Frankford was incorporated as a village in 1920. Quinte West is home to 8 Wing Trenton, the Canadian Armed Forces primary air transportation hub. Many of Canadian military operations in Afghanistan are carried out from this base. 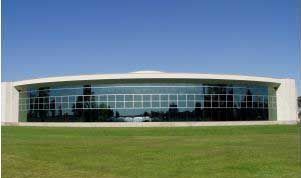 It also serves as the area's biggest employer. 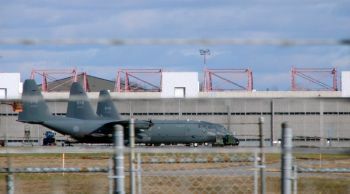 8 Wing CFB Trenton is the largest Air Base for the Royal Canadian Air Force and is available for commercial flights for passenger and cargo uses, by prior arrangement with DND. There is a Canada Border Services Agency (CBSA) office located on site for international flights. Airport facilities include snow removal, crash response, fire fighting and rescue services, 24-hour-a-day air traffic control tower, fully equipped airfield navigational and visual approach to a paved runway of over 10,000 feet which can accommodate 747 and C5A classes of aircraft. Quinte businesses can use 8 Wing CFB Trenton as a convenient way to access customers, head office officials, suppliers and other business contacts. 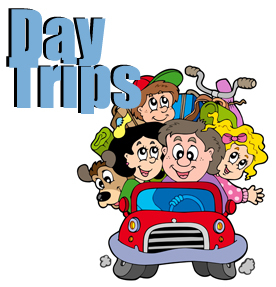 *Travel Times vary according to driving speeds and conditions. Quinte Access Cruise Nights sundays, 5 pm - dusk, May - september Front st.
What to do? The following are suggestions, but in no way cover all the possibilities on how to spend a rainy day. These are just some of the things happening in and around Quinte West. Come-on down and see all that Quinte West has to offer for the visitor, the tourist and the local residents. Maybe you'll want to make Quinte West a place for your business, getaway holiday, or retirement home.